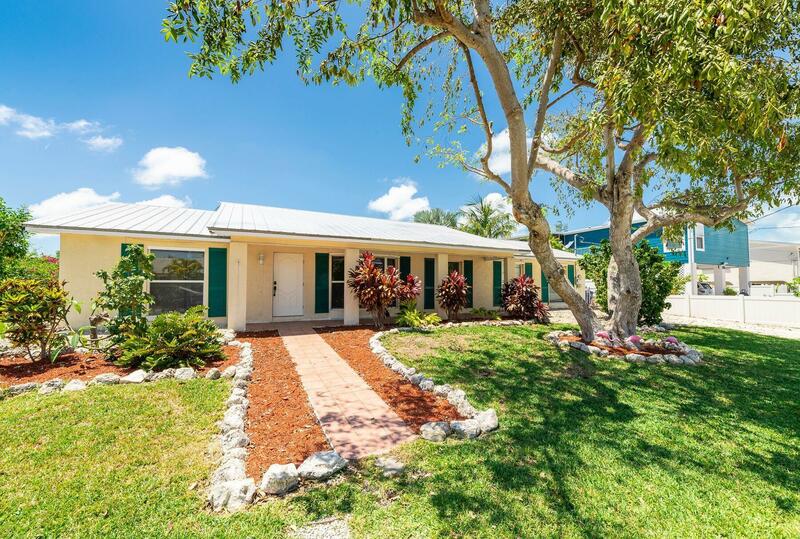 OPEN HOUSE SATURDAY 4/20 12-2PM!This spacious four bedroom three bathroom CBS canal front home sits on a 10,000 square foot lot and is just minutes from Key West. The home offers a huge eat-in kitchen with breakfast bar, dining area with bay window, and living area with water views. The master offers large closets, bath en suite, and canal views. Two additional bedrooms share a hall bath. There is a spacious in-law suite with private entrance, kitchenette, bedroom, and full bath. Perfect for entertaining indoors or outside on the covered lanai and patio next to the canal. Just a short boat ride to Snipe Keys, Mud Keys and Marvin Keys. The tropically landscaped lot is 100 feet wide by 100 feet deep. Features: Metal roof, central AC, seawall, ceramic tile, hurricane shutters, & more!